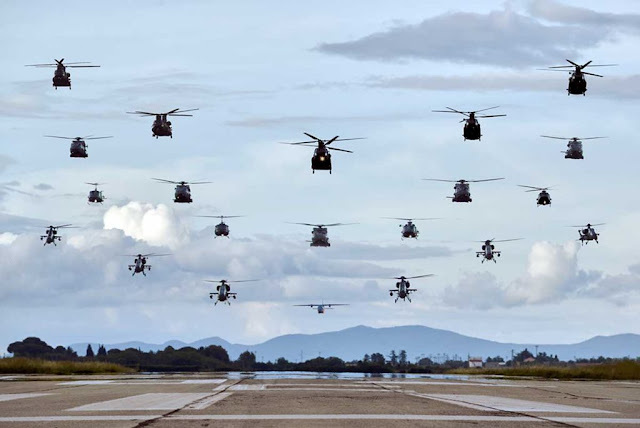 Italian Army Aviation makes historic 20 helicopters fly-by. The Italian Army Aviation marked the end of the exercise CAEX 2018 with an historical fly-by composed of 20 helicopters, May 25. The aircraft took off from the training headquarters of Viterbo to fly over the city to thank the citizens. The live stage of the CAEX 2018 took place from May 14 to 25 in three different training areas: Lazio, Umbria and Tuscany. The activities involved more than 600 soldiers as well as several aircraft: eight AH-129s, eight UH-90s, three UH-205s, two HH412s, one HH212, four CH-47s and one UC-228. 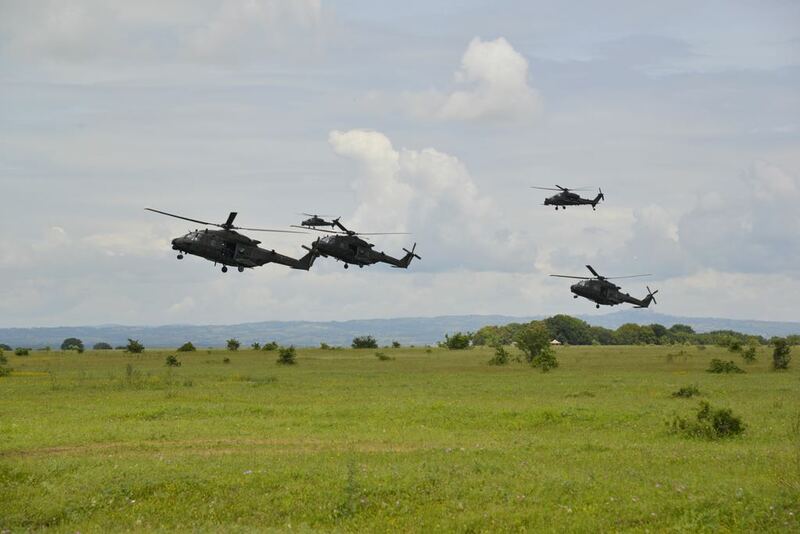 The purpose of the exercise was to prepare and validate the Army Aviation assets for the future deployment in real Operational Theaters. 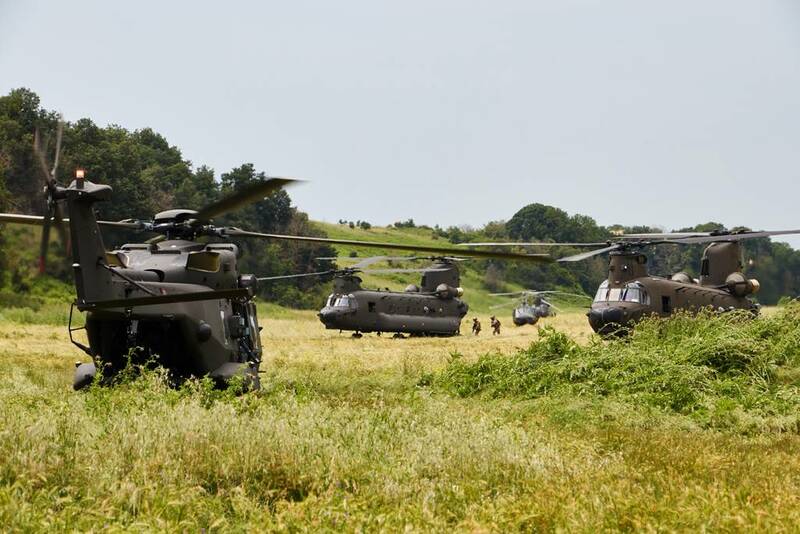 The exercise offered the opportunity to the Units involved to verify and refine their ability to conduct operations in the third dimension: air and land. Over eleven Army Brigades have faced intense training activities for two weeks, which have reproduced the operational scenarios they will meet in Iraq and Afghanistan.